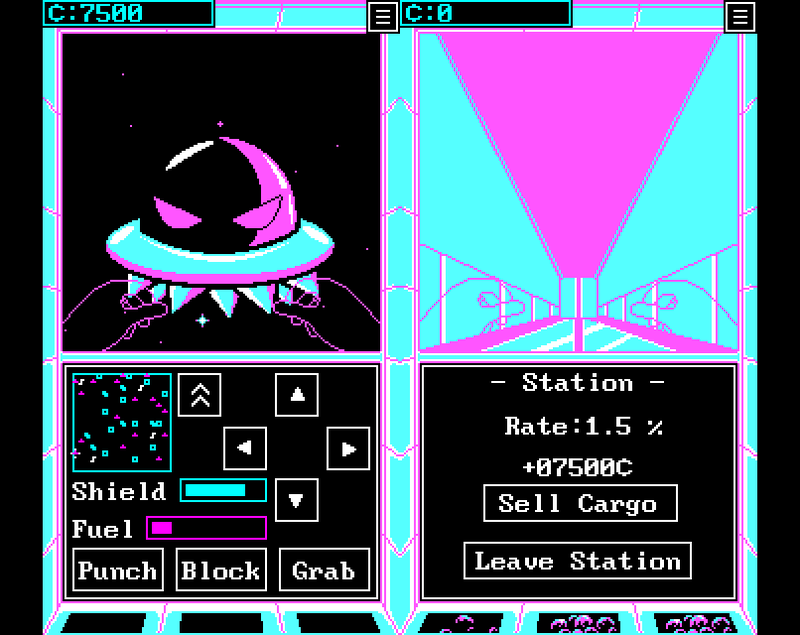 Space Junk is a strategy-action game where you must salvage junk in space to earn money. The game was made in 3 days for Mini Jam 24. The theme was "space" and the restriction was mouse/touch-only input. Mouse/touch only. Use the on-screen arrows to move your character around. The thrust button (two upwards arrows) is used to move toward a distant target in your vision. Punch can be used to punch asteroids and enemies. Block is used to block enemy attacks. Grab can be used to salvage scrap you find, or to dock with a space station. You can also click at the bottom on your cargo, and if you have any you can burn your cargo for fuel in emergencies. The game is won by collecting and selling/burning all salvage on the map. The game can be lost by either running out of fuel or being destroyed by an enemy in combat. Fuel can be found by destroying asteroids or burning your cargo. 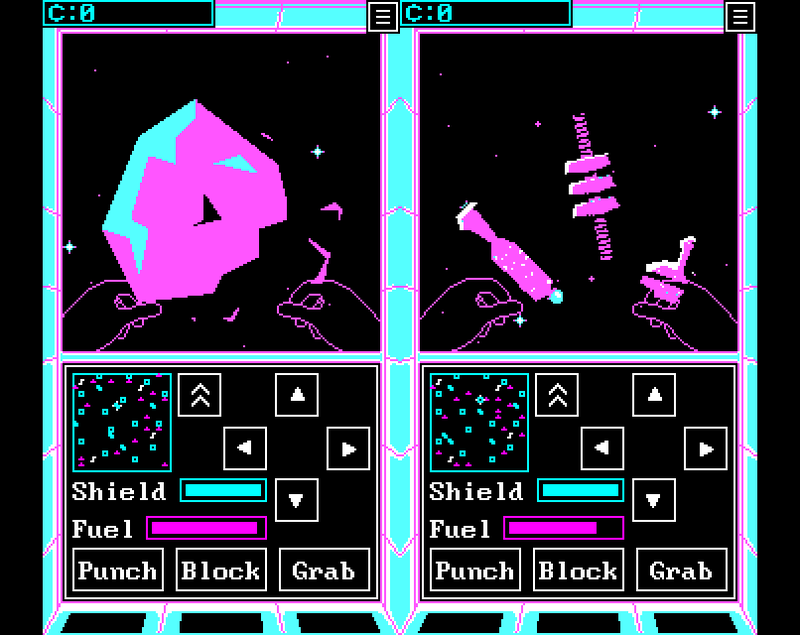 Shields can only be restored by destroying asteroids. You gain money by selling salvage at space stations. Be aware that different stations give different rates. Thanks man, enjoyed the stream! No problem! Glad you liked it. I really dig the aesthetic and vibe! It's a fun little strategy game, although I did have some trouble timing the blocks with the little aliens!